William started aged 10, finishing 4th in the Sandown InKart Championships. 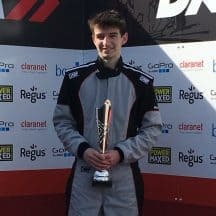 Numerous podiums & one win since joining DMAX aged 14. 2013: Ipswich Junior Indoor Champion 2015: Ellough Park Junior League (7th). 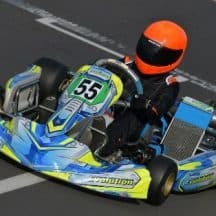 2016: CovKart Junior League 2017: A learning year in DMAX! 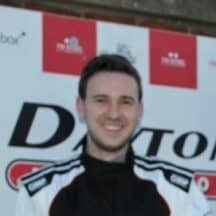 Started racing with Daytona in the Winter of '15/16 having been racing indoors since the beginning of 2015. Some solid results in the final rounds of 2016, leave him hoping for a podium in 2017! 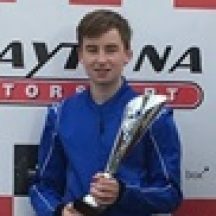 In 2016, James took part in the Daytona Tamworth InKart Championship, winning a round and regularly finishing on the podium, finishing 3rd overall. Looking forward to racing on lots of great circuits. 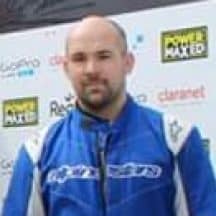 2017 DMAX Light Enduro Champion, 2017 DMAX Light Heats Runner Up. 2017 Daytona 24 Hours placed 2nd and 3rd. 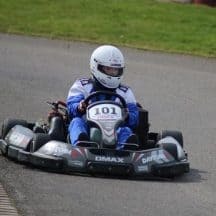 Sam has raced in 5 seasons of Daytona Sandown Park's InKart Championship (2012-2016), finishing 3rd in 2016, scoring 7 podium finishes along the way. 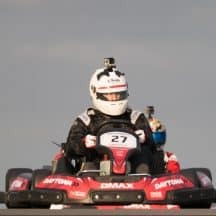 Also competed in 4 DMAX Rounds in 2016. 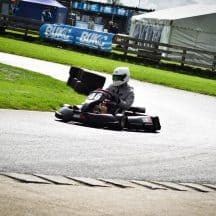 Did a little bit of karting at uni before taking it up more seriously a little later in life along with husband Andrew (who races in Inters). Goal for 2017 is to get a couple of Top 10 finishes. 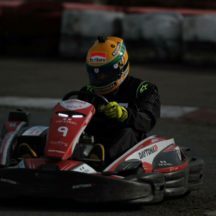 CovKartSport & Daytona InKart Champion. 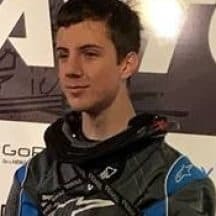 Came 3rd in Enduro Champs and 4th in Heats Champs in 2017 in his first 2-stroke series. 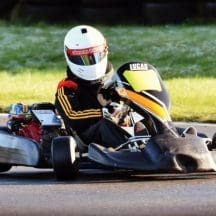 Looking to progress & looks forward to the new competition for 2018. 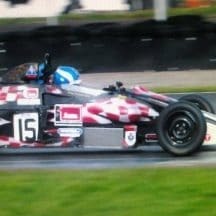 Completed two seasons of InKart at Sandown, racing in Juniors and RT8's finishing 4th overall in 2016 with 6 podiums, including 3 wins. 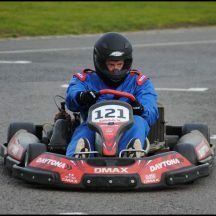 This will be Tom's first season in the DMAX Championships. 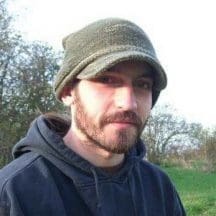 Ben has been doing DMAX for ages. Gets a few podiums each year, but is definitely the best - his mum said so. 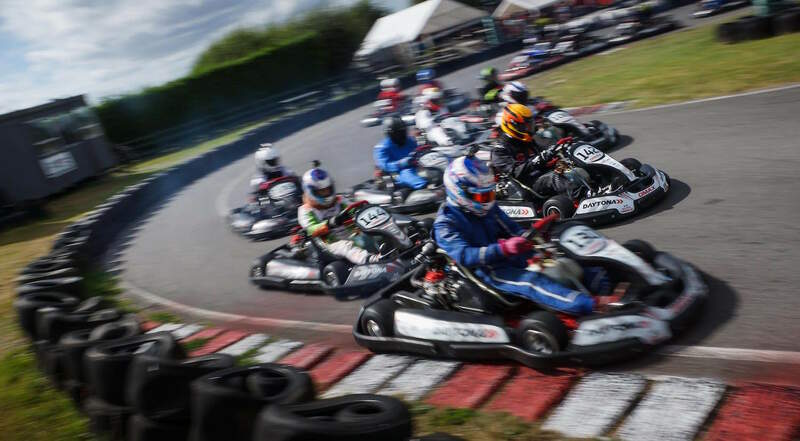 Having competed in Daytona Sandown Park's InKart Championships from 2011, Josh entered DMAX in 2016 scoring a podium in the last round. 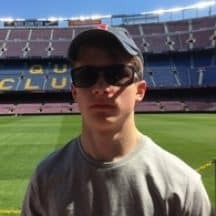 In 2017 Josh will be hoping to build on that success. 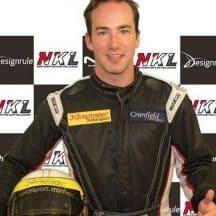 Has raced in the Daytona 24/25 Hour races over the last couple of years. Thought he would try testing his skills on an individual basis this year and see how things go! 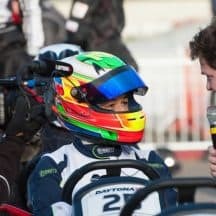 First ever race was at Milton Keynes as part of Redbull Kart Fight 2011. 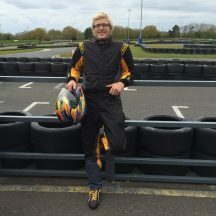 Alex has since gone on to place 3rd in Buckmore Park's Ironman 2015 and has several open race wins at Sandown Park. 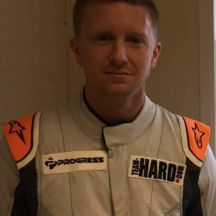 Sam started racing indoors aged 16 and 2 years later began racing in Daytona events at Sandown Park. 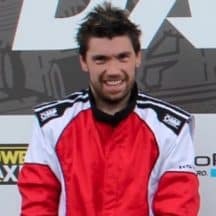 He competed in the 2015 and '16 DMAX Light Enduro Championships, with one win to his name so far. 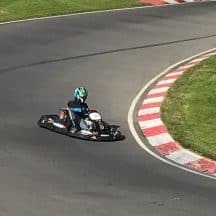 Started racing in '11 at his local circuit before joining CovKartSport in '12, winning multiple titles as well as several individual Driver awards. 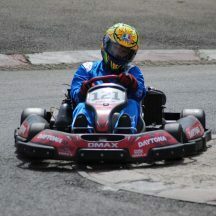 Hoping for success in DMAX in the years to come. 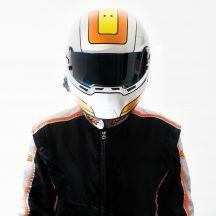 Laurence started racing when he was 8 years old. 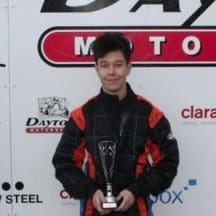 In late 2015 Laurence started racing in Daytona MK's InKart Championships, starting in Cadets and making his way up to RT8s. Now it's time to try DMAX! Sophomore season, looking to maintain good results and gun for silverware. 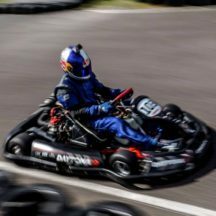 After a difficult 1st learning year in DMAX, Dane is aiming to move up the grid in 2017. 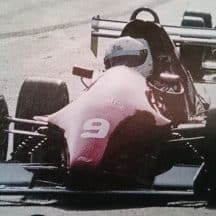 Raced Scottish Formula Ford and other Formula Ford Festivals before moving into karts. Also a keen triathelete! 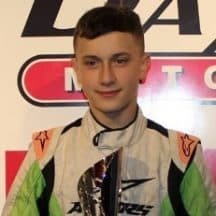 Kurt started racing 2 yrs ago and joined the Daytona Tamworth InKart series in 2015, finishing 2nd in the Junior Class. 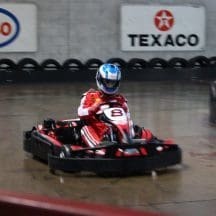 In 2016, he moved up to RT8s which he won. 2017 is Kurt's first foray into DMAX. 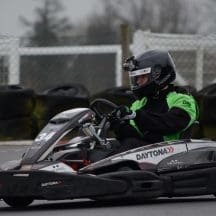 First year in Daytona DMAX, looking forward to competing in the Enduro & Sprints Championships. 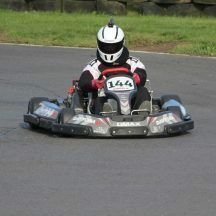 Has done lots of arrive and drive and a few SWS races. Reached the final of the 2016 W2R competition. 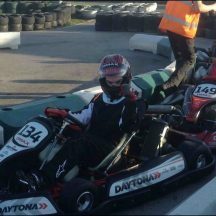 Harrison started racing aged 8 and moved up the InKart ranks at Daytona MK. 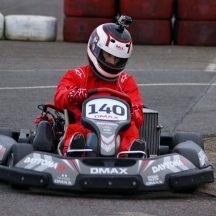 After turning 14 he joined the DMAX series last year finishing in the Top 10. Placed 2nd in the SODI class in the D25hr '16. Starting racing at Sandown Park aged 8. 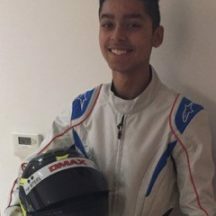 Aged 9 he started Cadet Club racing with KART-TEK Racing Team. 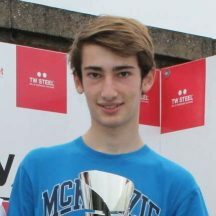 2014 Sandown Park Junior Light InKart Champion and took a win in his debut season of DMAX. 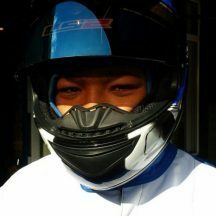 Huge motorsports enthusiast; bikes, cars everything. 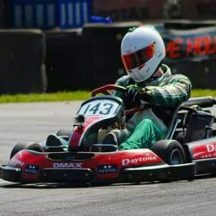 It is Alex's first season racing in DMAX and is just looking forward to taking part and seeing what he can do! 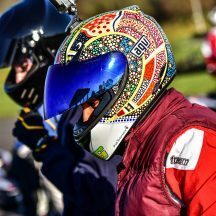 Luke started racing in 2010, winning his first InKart Champs in '13. 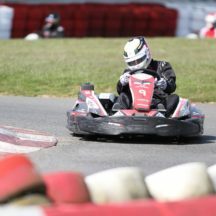 After this, Luke moved into the world of owner karts with some success,. After a season of ruby & football, Luke is back for 2017! 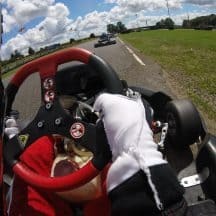 Started doing open races a couple of years ago doing OK against some regular racers so doing DMAX to test myself and have fun doing proper organised racing at some of the UKs best curcuits. 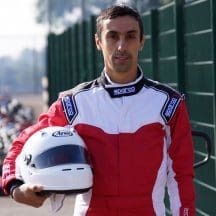 Lifelong F1 fanatic who started racing in 09 aged 37. 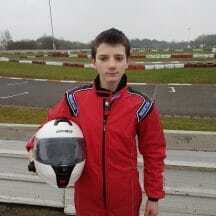 Entered and won the CSMA karting championship in 11, 12 & 14. Has only entered a few events in DMAX so far with a 6th place finish his best. 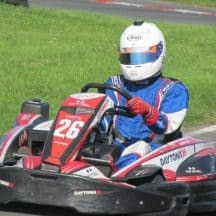 Driver for endurance karting team, Titan Motorsport. 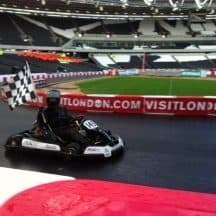 Has raced for 11 years, winning numerous races and Championships in both hire kart and owner driver events. 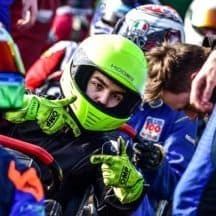 Number of SODI and DMAX wins and podiums at Sandown Park. Has taken Round wins in our InKart Championship and is a regular in our D60 Championship. 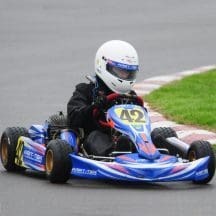 Josh began racing age 6 in the Bambino class. 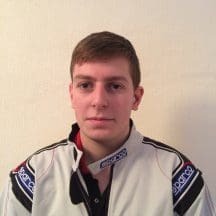 He went on to race in many MSA Championships, finishing Vice Champion at Rissington and Llandow in '13/14. This will be his first year in DMAX. 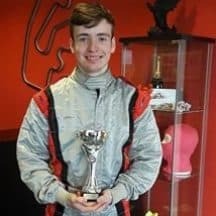 Started competing in various SODI and DMAX opens since the start of 2017, with regular wins and podiums at that level. 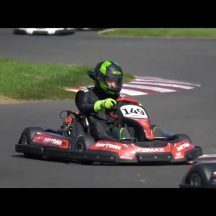 Now searching for the next challenge against a consistently strong field in DMAX! 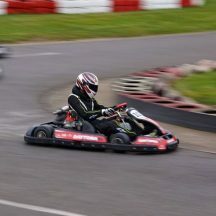 Fraser has been racing for 5 years, and has won many Championships at MK and Sandown Park. 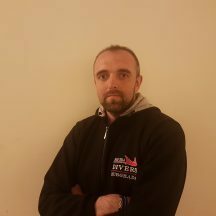 In 2017 he raced a Mini X30 and was Vice Champion at the SWS Finals in France. Now 14, he's ready for DMAX! 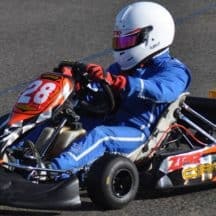 Discovered Karting whilst at university, I’ve now raced for 3 years in the BUKC and various other sprint races. 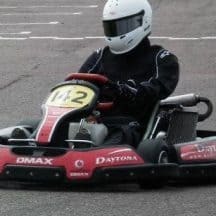 I was looking to join a championship having now graduated – and DMAX looked the best! 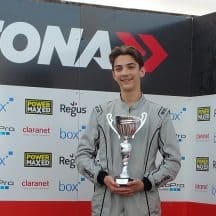 James started racing aged 10 and this will be his first season in the Daytona DMAX Championships after racking up numerous SODI and DMAX open race wins in the last year. 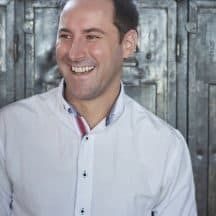 Anatolij's main motivation to join DMAX this year is to loose weight! Got back in the seat 5 months ago at 105kgs and is now at 87kgs. Aiming for 73kgs and DMAX Lights! 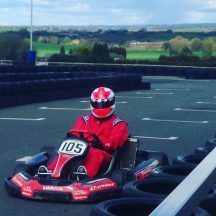 A Pro karter 20 yrs ago, Paul came out of retirement in 2016. 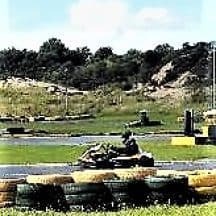 Prefers faster karts; Twins, RX250. Enjoys podiums but accomplished in all grid positions. Old man driver? what! Get back in that Volvo! D60 Summer Champion at Sandown Park in 2017. 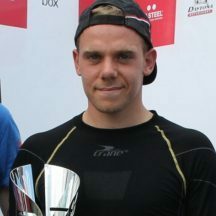 Many podiums in InKart since starting aged 13. Started in '14 at Three Sisters. 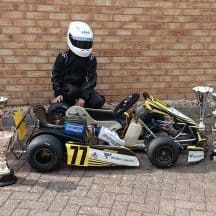 Raced Covkartsport Juniors '15, 16 & 17. '17 - 3rd Junior Plus Winter Series, 3rd Junior Plus Open event, 2nd Junior Plus National Series. 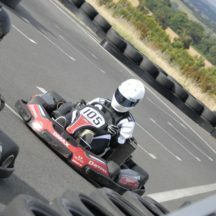 Also raced 3 DMAX events. 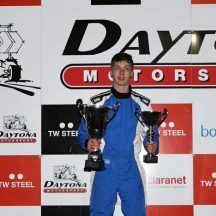 Started racing aged 14 in the CKS Championship ('10 Jr Winter Series Runner Up) Numerous Daytona Open Race wins/podiums. Competed in the '15 Daytona 24hr with SM Motorsport. First full year in DMAX! 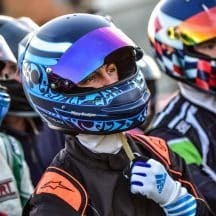 14yo in first year of DMAX. Raced at club level since '14 in France. Qualified for the SWS World Finals in '16, 2nd best in France, 7th in the world. Also raced in Subaru 400 Series in France.